The hotel "Der Loewe live free" is only 5 minutes away from Austria's largest ski region. We take our guests to the ski lifts with our hotel shuttle free of charge. 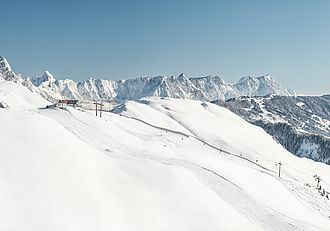 The Skicircus Leogang Saalbach Hinterglemm Fieberbrunn offers more than 270 kilometers of slopes with guaranteed snow and shows just what makes this sport so beautiful. Snowboarders and freeskiers will get their money's worth in the Nitro Snowpark. Even off the slopes entertainment is certain with cross-country skiing, snowshoeing or ice skating. Get yourski pass directly in the hotel.